Carolyn’s love for reading was instilled at an early age by her father, Albert Findlay, who not only read books to her, but told her his own bedtime stories every night. His encouragement over the years has been the inspiration behind her creative writing, bringing life to all types of imaginary creatures. Carolyn received a BS in Education from Millikin University in Decatur, Illinois, where she taught at the first grade level in the public school system and tutored children with learning disabilities. She graduated from the Graham Hospital Association School of Nursing in Canton, Illinois, and has worked as a Registered Nurse in Illinois and Florida. She obtained an MS in Community Health Education from Western Illinois University in Macomb, Illinois. Carolyn was inducted into Phi Kappa Phi, Phi Theta Kappa and was a Certified Diabetes Educator (CDE) and a Certified Health Education Specialist (CHES). Carolyn obtained a Certificate of Completion from the Institute of Children’s Literature, has published numerous articles and poems, and is a member of the Society of Children's Book Writers and Illustrators (SCBWI). She co-authored an article published in the Centers for Disease Control Morbidity and Mortality Weekly Report (MMWR) while working as the nurse epidemiologist in Bay County, Florida. She now is retired and resides in Jasper, Indiana. 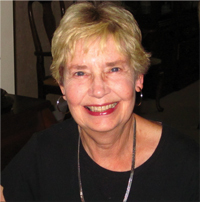 Carolyn has three sons, eight grandchildren and four great grandchildren, all of whom have been inspirational in her writing and publishing of children’s stories. When not writing Carolyn enjoys reading, knitting, volunteering in the community and having fun with her family and her rescued cats, Winston and Lilly. She will tell you that she is truly blessed.